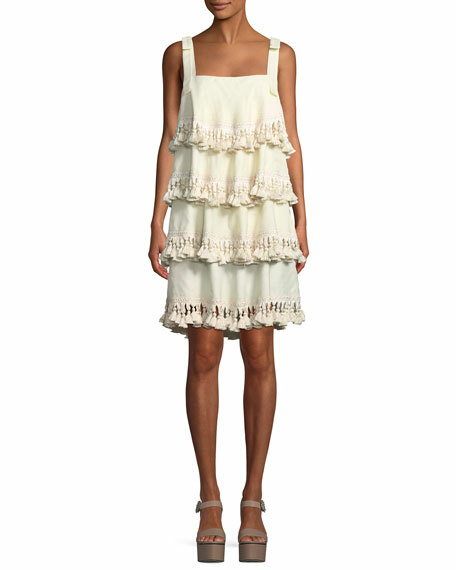 Mestiza New York "Palma" tiered tassel dress. Four tiers with tassel trim. For in-store inquiries, use sku #2528068.